IT support and computer repair in Birmingham and the Midlands. MAD Computer solutions provide on-site server support, computer repair, network installation, and IT support services to business clients in Birmingham and Worcestershire. Offering IT services from PC data recovery to web design at affordable prices, MAD computers can satisfy your requirements providing a better and more cost effective service than most big retailers. 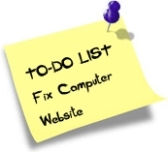 Call us now for all your PC repair, PC installation, network installation and business IT support. MAD is committed to meeting your needs as a customer, we offer a reliable friendly IT Support service to help keep your business running smoothly..
Don’t feel confident to install a wireless network yourself? Or want to check the security of your existing PC network. A number of plans to suit any business, individual or group. Web hosting from £5 per month. Get a website from just £115 including your own professional domain name. 5 Page websites only £295!